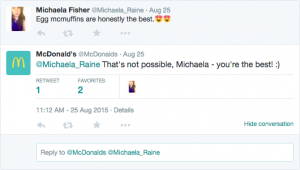 Want to increase customer loyalty with social media? I frequently emphasize the fact that social media isn’t a promotional tool. And when I say that, many traditional marketers just wrinkle their forehead and ask what social media is any good for if it isn’t a promotional tool. But the fact of the matter is that social media is a relationship tool, not a promotional tool. After all, it’s called social media. You’re obviously meant to be social. 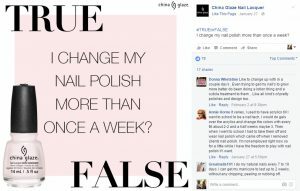 So if you shouldn’t shove ads in your customer’s face with social media, how will it benefit your brand? In the best possible way of course, by using it to build relationships with your audience. The best marketing isn’t the one where you try to shove as much as down your audience’s throats as possible, but instead, the best relationship building is when genuine relationships are built between the brand and the customer. Because relationship leads to trust and long-term loyalty. And if your customers don’t trust you, they won’t buy from you! When brands ask ”how can we increase sales?” and ”how can we increase our revenue?”, the most common answer is ”by acquiring new customers”. But is it really the best answer? Because Acquiring new customers is anywhere from five to 25 times more expensive than retaining new ones, and what’s more, loyal customer also tends to spend more. In fact, highly-engaged customers buy 90 percent more often and spend 60 percent more per transaction. The good news is that customer loyalty is, to a very large degree built as a result of better relationships with the customers. And since social media is a relationship tool and not an advertising tool, you can see where I am going with this. There are an incredible amount of ways you can increase customer loyalty with social media, and that’s exactly what we’re going to look at today. 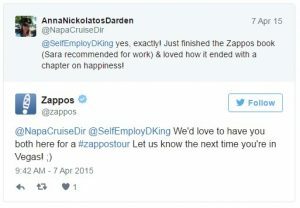 In this post, we’re looking at ways to increase customer loyalty with social media. Okay, so it’s obvious that the most fundamental part of customer loyalty is customer relationships. And that’s not so surprising if you think about it. When you build relationships with your customers, you give them a better reason for them to come back to your brand, rather than just the fact that you are selling the product they need. Because if that is the only reason that your customers buy from you, it won’t take much for some other competitor to turn them into customers, for instance by offering better prices. But if you have built strong relationships with your customers, they will be much more likely to stay with your brand, no matter what the competitors say, and the good news is that social media is the perfect tool to increase customer loyalty because it allows you to do just that. There’s a reason why smaller niched brands are gaining market while many large corporates are growing slower or losing market. People want to have real human and genuine relationships with brands, and the brands that succeed in building this see a much higher customer loyalty and therefore also a greater customer retention. Remember, humans build relationships with humans, and in order to make it possible for people to resonate and want to engage with you, you need to develop your very own brand voice. If my brand would be a person, who would it be? If my brand would have a personality, what would it look like? How do I want to be viewed by my customers? It’s crucial that you have a personality and brand voice which resonates with your audience, and this comes down to a human psychology level where humans want to engage and interact with people who are just like ourselves. This obviously also includes the voice and tone you have when you talk with your customers. Someone who speaks in the same voice and tone, and uses the same words and slang terms as you, or a much older person which uses a language that includes words you don’t even know the meaning of? When developing your brand voice, you need to ensure that it is aligned with the overall personality of your brand and the way you want it to be viewed by your audience. Therefore, you need to begin by researching your audience, asking yourself what language and tone they use and then develop a tone that will resonate with them. Once you’ve developed your brand voice, you need to anchor it and use it consistently. If your customers talk to you on Instagram and you have one tone, and then they engage with you on Facebook and you have a completely different tone, it will create a disconnect with your audience and they’ll have a harder time building a deeper relationship with you. 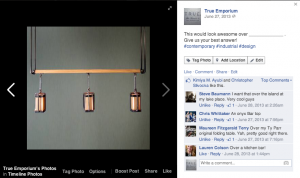 One of the ways to build customer loyalty with social media is listening to your customers. And frankly, that doesn’t come as a surprise, really, because if you’re never listening to the other person, it will be impossible to build a strong relationship with them, because you’re the only one who’s talking. To build relationships, it needs to be mutual, which means that you listen to them, and they listen to you. When you ask someone about something they told you about earlier, it shows them that you have actually listened to what you say and that you actually care about what they say. By listening to your customers, you can gain valuable information and then use that information to craft your messages to make them better resonate with your audience. Back in the days, people spoke about brands face-to-face with their friends, but what social media has enabled is to take those conversations to social media, which has also made it possible for brands to listen to the conversations that the customers have, and then tweak the branding and marketing strategy accordingly to build stronger relationships and increase customer loyalty with social media. Taking the time to listen to your customers will allow you to extract key information about the conversations they are having and what those conversations mean. You can, for example, get key information about which products your customers are talking about, where they spend time on social media, if they often talk about a specific thing/topic and if there are frequently occurring questions or complaints that you need to address. The best part about listening to your customers is that you’ll be able to find key questions and complaints that you need to address. For example, if you, when listening to your customers find that the same question is being asked over and over, you can take that question and address it, and leverage it to create a conversation with your customers to continue to build deeper relationships with them. Another part of listening to your customers on social media is understanding the customer sentiment on social media. Different from listening to individual customers and what they are saying, the customer sentiment on social media is more about understanding the overall tone all of the conversations about your brand on social media has. Are they positive? Are they negative? But obviously, to understand the customer sentiment on social media, you need to focus on listening to each and every conversation that takes place on social media about your brand. Understanding the customer sentiment allows you to understand how your customers think about you and how they feel about your brand, and this is crucial to start establishing positive memories of brands which helps you increase customer loyalty with social media. Keywords can be analyzed either through hashtags or through keyword search on social media. The most common way to identify keywords to track is to search for hashtags that are related to your brand. This is why you want to create a list of hashtags that you should monitor regularly, including your brand name, common misspellings of your brand name, campaign hashtags related to your brand, product names, and so on. When customers are talking about brands, they often include hashtags or keywords related to the brand they talking about, and this enables you to find their posts, whether they talk about your brand directly or indirectly. 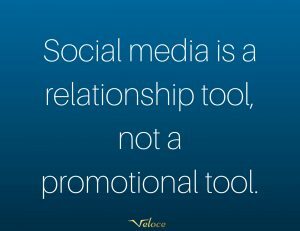 As emphasized earlier, social media is a relationship tool, not a promotional tool. It means that people aren’t on social media because they are eager to have ads shoved in their face, but instead, they’re there to interact and engage with people, and to stay up-to-date with what their friends are doing. Now, does this mean that you can’t talk about your product? It just means that you need to be careful with the amount of promotive content that you put out on social media. 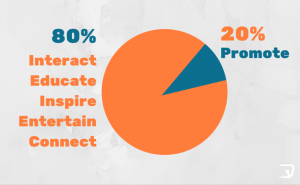 When it comes to promotional content on social media the general rule is the 80/20 rule, which means that you should be sharing 80 percent non-promotional content and 20 percent non-promotional content. By shoving ads down your customers’ throats, how will they be able to talk to you? To start engaging and relationship-building conversations to increase customer loyalty with social media, you need to share content about topics and things that your audience genuinely cares about and which will get them excited and engaged. Because it is only when they get engaged that you can start a conversation with them which will ultimately lead to greater customer loyalty. In order to do this, you obviously first need to understand what your customers are interested in, and what they get engaged by, and the single most effective way to do this is using the tactic in point number 3, which includes listening to your audience. Tying this together with point one allows us to draw the conclusion that the better you know your customers, the greater relationships you’ll be able to build, and as a result, you’ll be able to ultimately increase your customer loyalty. Now, in order to get to know your customers, and to get answers, you need to ask questions. An important part of that is obviously not only making it about you but also asking as many questions as you can about them. The best part is that this has two benefits. 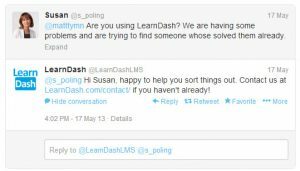 Firstly, by asking questions, you show your customers that you care about them. Secondly, asking questions allows you to extract valuable information about your customers which, in the long run, you’ll be able to leverage in the future conversations, leading to increased customer loyalty. When working to increase customer loyalty with social media, you have the ability to do research your customers and their social media profiles. People are spending more time than ever, and more people than ever are using social media, which means that a lot of the conversations that took place in other places now takes place on social media. As more and more people are spending time on social media, they’re also sharing more information about their lives than ever. People update what they eat, how they feel, what they think about, what they’re doing, and what they are thinking of doing, and share it with the world. Accessing this information is incredibly simple if they have public profiles, so to get to know your audience, another approach rather than asking questions is to look at their social media profiles and the content they are sharing, and then using that information to have more tailored conversations about things they genuinely care about. If you’ve ever talked to someone where it feels like you’ve known each other for a long time, while in fact, you haven’t, you know how easy it is to build a relationship with this person, and by using the approach I just talked about, that’s exactly what you are able to do. In marketing, it’s always a good idea to have a plan and a strategy of things you’re going to do. When it comes to working to increase customer loyalty with social media it’s no difference. As a brand, the content you put out is the single most important thing for social media success. Your content is your value proposition and what will attract people to your page, and in your engagement plan, you want to focus more on how you can communicate with your customers through your content, rather than just providing them with a piece of content. The content needs to be aligned with your brand voice and brand personality that you’ve established so that people can instantly recognize your personality and connect with it. The content you put out isn’t only about aligning it with your brand, though. Another crucial part of social media success is that your audience actually cares about the content you put out, and the best part is that now that you’ve listened to your customers, and researched what they’re passionate about, you are able to better tailor your content based on your audience’s preferences. How can you start conversations with your content? This is a question you need to ask yourself when developing your engagement plan. The best content, at least when it comes to working to increase customer loyalty with social media, is the content that sparks engagement and gets your audience engaged. The more engaging your content is, the most your audience will engage with it, which means that you’ll have more opportunities to meet and engage with them, too, by responding to what they are saying or commenting. By now, you know the crucial importance of engaging and interacting with your audience to increase customer loyalty, because really, the only way to increase customer loyalty is by building and strengthening your relationship with them. This means that you want to take each opportunity you can get to interact with their audience. With that said, it’s obvious that you need to respond to every single message your followers to you, whether they comment on your post or send a private message. The more you interact with them, the more loyal they’ll become. But despite this, far too many brands leave their customers’ messages unanswered and ignored. In fact, a study found that 7 in 8 social messages to brands go unanswered. Just think about all the lost opportunities from brands to strengthen their customer relationships. And when I say ”respond to your followers”, I mean: respond to every single message you receive, even customer complaints. If someone writes to you, they expect you to respond, just like you expect someone to respond if you ask them something in real life. There really isn’t a difference between a message on social media, and someone saying something in real-life other than that it takes place online. Remember: you respond by not responding. By not responding, you’re saying ”you aren’t important to us, and therefore, we’ll ignore you”. A great way to increase customer loyalty with social media is by rewarding your followers. By rewarding your followers, you show that you appreciate them, and as a result, they’ll become more loyal to your brand. While this doesn’t really fit into the ”reward category”, simply thanking your customers for their loyal support in your brand is a tremendous way to increase customer loyalty with social media, because the outcome is the same as when you reward your followers. They feel appreciated. Just taking the time to say ”thank you” will take you a long way, and really, your followers have spent time commenting and engaging with you, so thanking them is the least you can do. 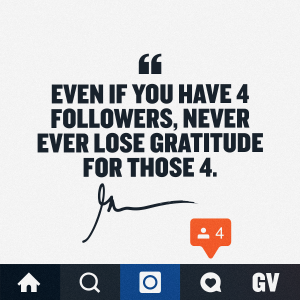 If you aren’t showing that you appreciate your followers, eventually they’ll see no purpose in supporting you, and in the worst case, they might leave you for your competitors. When it comes to rewarding your followers, there are a million ways you can go about doing that. One way is to personally send out coupon codes and gift cards to your most loyal fans and supporters, and when you do this, you show that you acknowledge their support and that you’re really thankful for them. Even the smallest reward is a gesture of appreciation that will further strengthen your relationship and increase their loyalty to your brand. If you want to take personalization to the next level and really make an impact by showing that you’ve really put time and effort into the reward, you can look at your most loyal followers’ social media pages to identify important dates in their lives, and then send them gifts to congratulate them. Since essentially no brands are doing this, the look on their face when they receive the gift will be priceless, and it will boost their customer loyalty through the roof. Nothing will make people feel more chosen and unique than having access to information that few other people has. Therefore, giving your most loyal customers exclusive information about your brand is a powerful reward to give, which will help contribute to increasing the customer loyalty one step further, among your already loyal fans. The information can be something like information about an upcoming product, or a sneak-peak of a product that hasn’t launched yet. Since doing this is a form of reward, the outcome will be the same as when you give them gifts, but the best part is that doing this won’t cost you a single dollar. If you want to make it even more personal, you can also invite them to exclusive events that you have where only highly-selected individuals are invited. This sense of uniqueness and selectiveness is something that is incredibly powerful in increasing customer loyalty with social media. 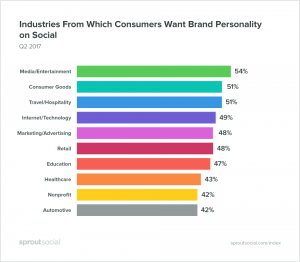 A foundational part for making yourself more approachable and easy to resonate with is developing your own brand voice and tone, but another thing you should consider if you want to increase customer loyalty with social media is being personal. When you are personal, you show yourself more vulnerable, but most importantly, you humanize your brand. Being more personal on social media makes it easier for your audience to resonate and build their relationship with you, because people don’t build relationships with logos and fancy brands. They build relationships with other people. Many companies are afraid of being personal in fear of putting themselves in a vulnerable spot where their facade of perfection is taken down. But the truth is, everyone knows you aren’t perfect, so don’t pretend like you are. Being personal and being human goes hand-in-hand, but they both help contribute to one thing: making it easier for your customers to resonate with you and thus build stronger relationships which turns them into loyal advocates. For example, if you make a mistake, don’t try to wipe it under the rug and pretend like it didn’t happen. If you do, it will just decrease people’s trust in you. Instead, you should eat up your mistakes and admit when you’ve made a mistake. But most importantly, you should present a solution and let people know what you’re doing to make things right again. If you try to display yourself as this perfect brand, you’ll automatically create a distance between you and your customers, and as a result, make it harder to increase customer retention. Being personal is so much more than admitting your mistakes, though. People love a story and getting insight into the behind the scenes process of a brand. This is why storytelling has proven to be so incredibly effective in marketing. So by being more personal, and telling your customers about the story of how your brand has gotten to where it is now, how you started out in the basement and built your way up, you tell a story that people can resonate with, making your brand more human and concrete. After all marketing efforts, you want to measure the results from it, to see if it generated any results and resulted in a good ROI. Of course, customer retention is a tricky metric to measure, but not impossible. One way to go about doing this is to create a customer loyalty program and then look at the number of members grow. Moreover, in terms of social media metrics, a vanity metric you can look at is the number of comments and people sending messages to you. If more and more people are engaging with you on social media, this is some kind of proof that people have become more engaged and loyal to your brand. Another way to measure customer loyalty and retention is by looking at the number of conversations that are taking place on social media about your brand. If you can note an increase in the conversations about your brand, you can draw some kind of a conclusion that your customers have become more engaged, and thus also more loyal to your brand. Lastly, and this is maybe the most obvious way of measuring customer retention, is to look at the people who buy from you, and then look at the number of people who are returning customers. Of course, there may be a number of factors that can affect customer retention, but your work to increase customer loyalty with social media may be one of them. If we don’t trust someone, then obviously we won’t buy from them. As a brand, it is crucial to understand that trust is incredibly important to have, because doing that ensures that you’ll focus on building long-lasting relationships with your audience, which in turn leads to great trust, rather than “tricking” people to buy from you, and then never have them return ever again.